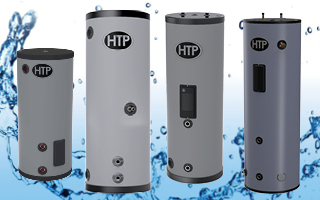 Enjoy the benefits of both a tank and tankless water heater with HTP’s Crossover® Commercial Water Heater. 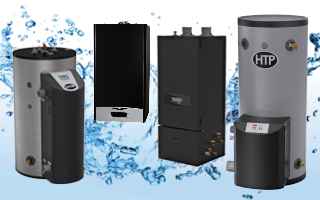 Providing endless hot water for endless comfort while never sacrificing water pressure, this unit was designed to prevent bursts of cold water and loss of pressure. 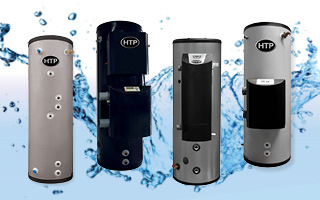 One premium unit working to provide the benefits of two, this is not your typical tankless water heater. 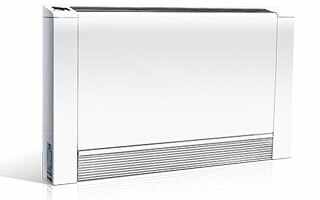 The Crossover Commercial (CGH) works on a counterflow system to provide maximum energy efficiency in a compact design. 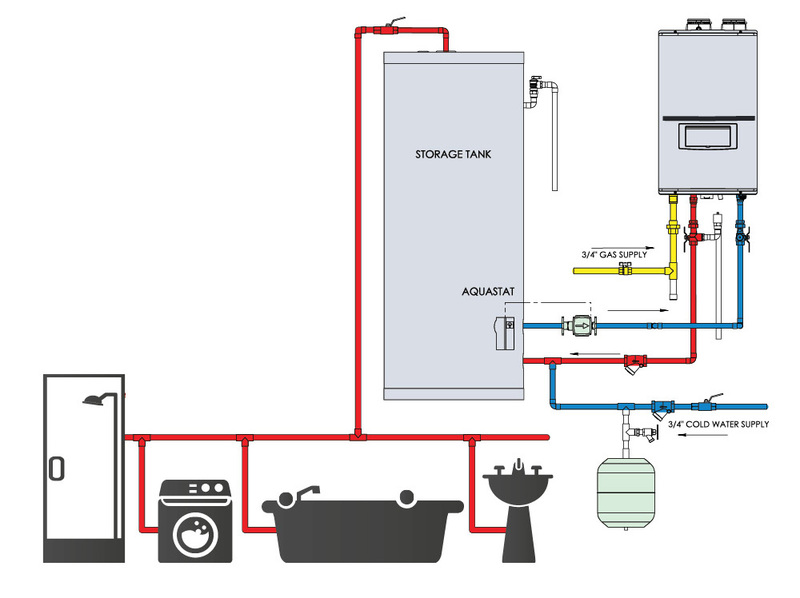 The CGH works in conjunction with a large storage tank (sold separately) to provide a large colume of hot water without the need of expensive direct fired tanks. Standby loss is eliminated as the CGH unit holds 3.5 gallons of water. 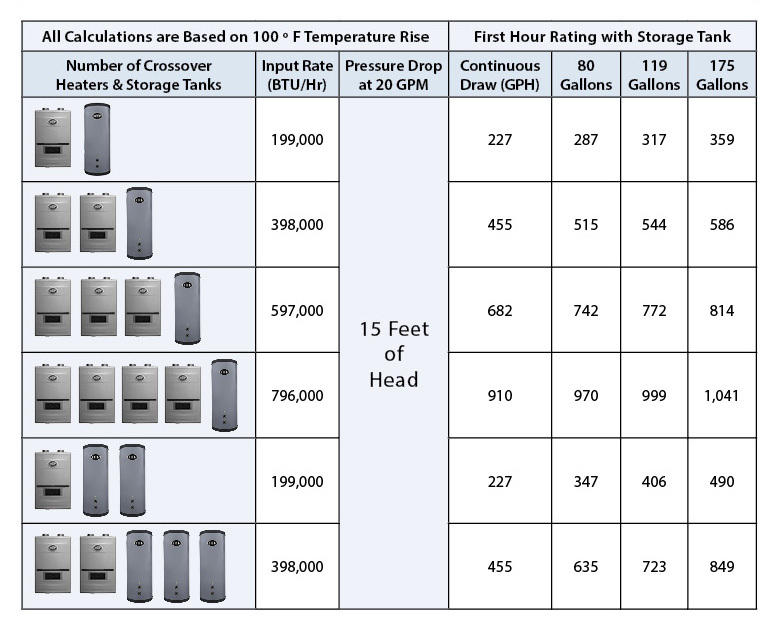 Up to 18 units can be installed to provide backup and redundancy, which will terminate the potential for expensive downtime that can happen with large traditional systems. 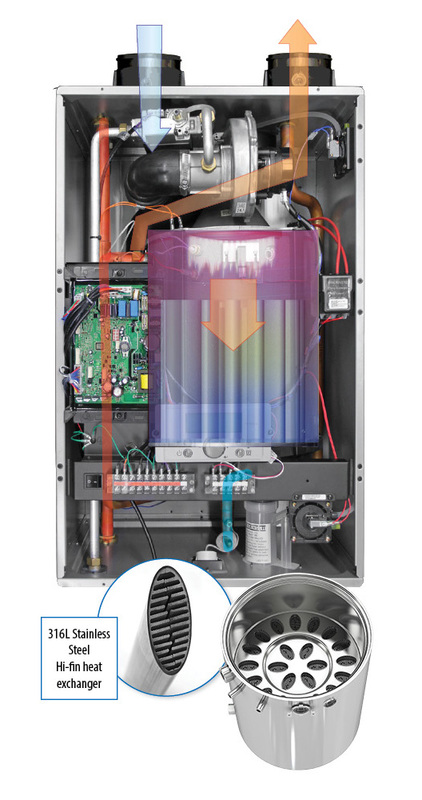 The durable Crossover Commercial is made of the best 316L stainless steel heat exchanger so performance is never sacrificed. 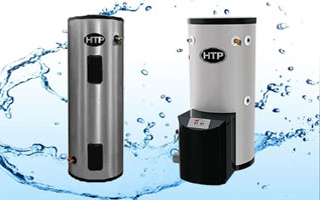 With a thermal efficiency of up to 95% and a UEF of up to .92 this water heater maintains a 10:1 turndown ratio with a very low pressure drop requiring just a small pump for maximum output. 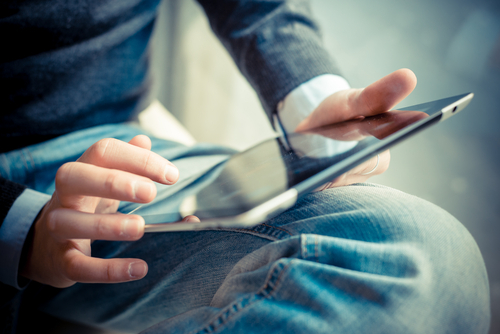 The CGH’s digital operating control and display program has made monitoring you water heater operation easier than ever. Install up to 18 units for redundancy and terminate the potential of costly downtime that can sometimes affect large traditional systems. 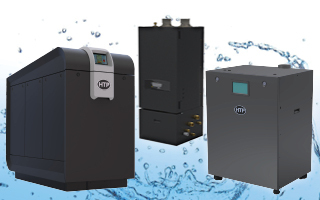 The unit can be mounted on a wall saving you space and also comes available in both Natural Gas and Liquid Propane. 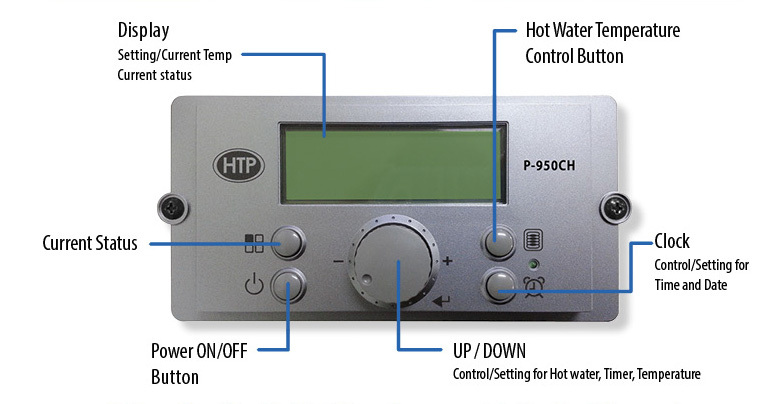 HTP’s CGH is designed for commercial applications. The Crossover Commercial has top vent connections and can be vented with ULC S636 Polypropylene, PVC, CPVC or Stainless Steel vent materials. Its total combined equivalent length, including fitting allowance for both intake and exhaust shouldn't exceed 100' in 3" pipe or 50' in 2" pipe. 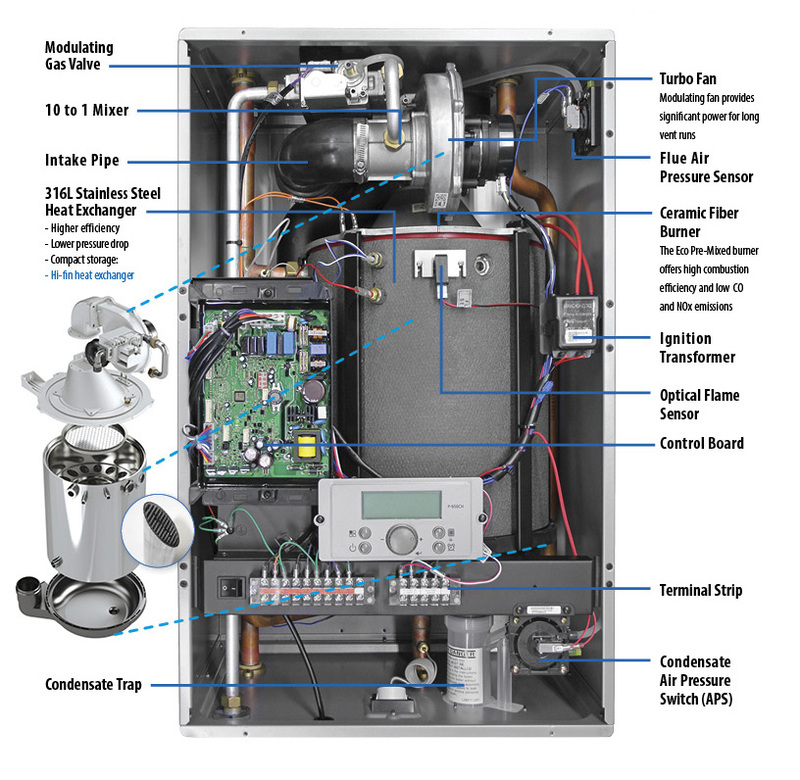 The Crossover Commercial Gas Water Heater is backed by a limited 5 year warranty, right out of the box! No registration is required.